Pens will be spinning with this bot! 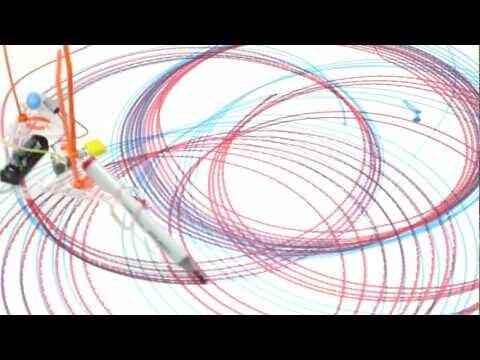 This kit produces a robotic spirograph that will provide hours of entertainment. The MAKE: Spinbot Kits let you build a triple-armed, pen- or chalk-grasping "robot" that spins in circles and draws elaborate geometric shapes while you watch. The kit is the brainchild of Christopher Myers and Anne Mayoral who form ArtBot Toys, a company that aims to introduce kids to science and technology. Chris and Anne have attended multiple Maker Faires where their SpinBots never fail to draw a crowd.